Glen Ellyn, Illinois-based Senior Living Investment Brokerage Inc. facilitated the sale of Lexington at Tazewell, a 42-unit, 33,480-square-foot assisted living facility in Tazewell, Virginia, for $2.15 million. The seller was the lender who had financed the renovations and then foreclosed on the developer. The buyer is a Virginia-based assisted living and skilled nursing operator with five other locations throughout the state. With licensing approved upon the change of ownership, the buyer intends to lease up the community throughout 2016. Bradley Clousing, Patrick Burke and Toby Siefert handled the transaction. Arcapita, a global, Shari’ah compliant alternative investment manager, acquired a privately-held portfolio of senior living communities in Colorado in a joint venture with MorningStar Senior Living. The transaction value totaled about $85 million. The transaction is expected to be the first in a series of acquisitions of senior living facilities by Arcapita as it looks to develop another sizable senior living portfolio in the United States. 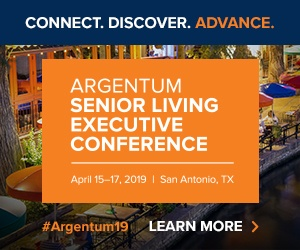 Arcapita’s management team has previously acquired, managed and exited from a series of senior living investments with total transaction values in excess of $1.5 billion in the U.S. and the UK. The current portfolio consists of three assisted living and memory care communities offering a total of 243 licensed beds and 196 units in Colorado Springs and Denver. Ray Giannini of Marcus & Millichap sold a not-for-profit CCRC in Milwaukee, Wisconsin, for $19 million, or about $53,670 per bed/unit, with approximately a 9% cap rate. The CCRC was sold to an Illinois-based private buyer. Built in stages in the early 1970s and in the mid-1980s, the CCRC has 187 independent living units, 80 assisted living units and a 62-unit, 87-bed skilled nursing facility, half of which was renovated in 2011, leading to a quality mix of around 40%. All together, the campus is 90% occupied and operates at a 13% margin (driven largely by the skilled nursing facility) on approximately $13 million of revenues. Additionally, the previous owner bought a four-acre adjacent plot of land that could provide for a memory care expansion. With the sale, the seller, Wisconsin-based not-for-profit operator VMP, was able to settle its debt and consolidate its services at its other location in Wisconsin. Commonwealth Assisted Living announced it has acquired Heritage Commons, a 100-unit independent living facility in Williamsburg, Virginia. Heritage Commons is now Charlottesville-based Commonwealth’s 22nd senior living community under management. Charlottesville, Virginia-based Commonwealth intends to expand the care offerings at Heritage Commons to include memory care and assisted living. Heritage Commons is also expected to undergo major renovations to guarantee it meets the highest standards of care and comfort for its residents. Commonwealth is one of Virginia’s largest providers of independent living, assisted living and memory care services, and it anticipates more growth and additional acquisitions in 2016. Collierville Assisted Living LLC sold Culpepper Place of Collierville, a 58,834-square-foot assisted living facility in Collierville, Tennessee, to CHP Collierville TN Owner LLC for $17 million. Specifically, CHP Collierville TN Owner LLC acquired the 58,834-square-foot facility from Collierville Assisted Living LLC in a Dec. 29 special warranty deed. The purchaser shares an address with Orlando, Florida-based health care real estate investment trust CNL Healthcare Properties Inc. Since the sale, Culpepper Place of Collierville has been renamed Hearthside Senior Living of Collierville. Blueprint Healthcare Real Estate Advisors arranged the sale of Park Place Senior Living at WingHaven, a 206-unit independent living and assisted living community in O’Fallon, Missouri. The community was sold for $54 million. Blueprint represented the seller, AEW Capital Management, which sold the property on behalf of AEW Senior Housing Investors to CNL Healthcare Properties. Patrick Burke and Ryan Saul of Glen Ellyn, Illinois-based Senior Living Investment Brokerage Inc. facilitated the sale of four supportive living communities in Illinois with 539 beds in total. The buyer is a private owner with other SLFs in Illinois that was looking to expand its portfolio. The seller is a private, Illinois-based owner that is looking to exit the senior housing business. Shep Roylance, senior vice president of the JCH Senior Housing Group, represented the landlord and Madison Partners in their leasehold acquisition of Covenant Care, a 94-bed skilled nursing facility in Dinuba, California. Roylance also represented the buyer of the transaction in their search for a NNN tenant. The transaction was structured as a 20-year triple net lease with two five-year extensions. The landlord is currently in the process of obtaining a HUD Loan on the property. Institutional Property Advisors, a division of Marcus & Millichap, negotiated the sale of a two-property seniors housing portfolio in upstate New York. Brookdale Senior Living purchased the two assets, Emeritus at Landing of Brockport and Emeritus at Landing of Queensbury, for $48 million. The properties have 183 units total. Charles Hilding and Joshua Jandris of IPA represented the seller, a private family office, in the transaction. National Health Investors, Inc. (NYSE: NHI) acquired a 98-unit independent living community in Chehalis, Washington, and leased the community to a partnership between Village Concepts Retirement Communities and Marathon Development. The total investment in the community is expected to be $9.8 million, including $350,000 for capital improvements. The lease is for a period of 15 years at an initial annual rate of 7.25% plus annual escalators from 2% to 3%. The acquisition was financed with borrowings on NHI’s revolving credit facility. The independent living community was 95% occupied at the time of sale. Village Concepts has provided consulting and property management and services for over 40 years and currently operates 15 senior living communities in Washington. Marathon is a development company that has completed multiple senior housing projects over the last 18 years. American Realty Capital Healthcare Trust III LLC, a health care real estate investment trust (REIT), has bought Renaissance on Peachtree, a 229-unit assisted living and independent living community in Atlanta, for $78.6 million. Matthew Whitlock and Lisa Widmier of CBRE Capital Markets’ National Senior Housing team represented the seller, a joint venture between Formation Development Group and The Carlyle Group, in the transaction. The seniors housing community was 94% occupied at the time of sale. CBRE Capital Markets’ National Senior Housing arranged the sale of Courtyard Fountains, a 252-unit assisted and independent living community in Gresham, Oregon, to American Realty Capital Healthcare Trust II, LLC, for $55.5 million. Matthew Whitlock and Lisa Widmier of CBRE’s National Senior Housing team represented the seller, an undisclosed private equity group. Aron Will, executive vice president of CBRE’s National Senior Housing team, facilitated the loan assumption on behalf of the purchaser, American Realty Capital Healthcare Trust II, Inc., now known as Healthcare Trust Inc..
Courtyard Fountains, located in the Portland, Oregon, region, was constructed in three phases between 1996 and 2010, and underwent more than $2.4 million in acquisition-to-date capital improvements. Occupancy as of closing was close to 93%. CBRE, through its Freddie Mac Seller Servicer direct lending program, facilitated the loan assumption of an existing $25 million, fixed rate loan originated by CBRE in December 2012.